Whether you want to film wildlife as a fascinating hobby, or are hoping for a career as a professional wildlife film-maker, this book and a basic camcorder are all you need to get started! 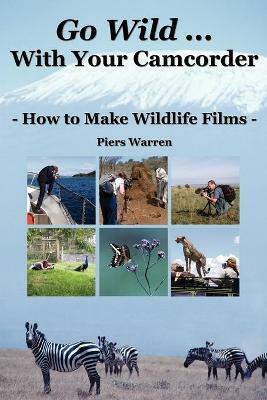 Packed with information and advice acquired over years of teaching wildlife film-making Piers Warren guides you through all aspects of making a wildlife film from choosing a camcorder to editing the final product. Includes: Selecting a Camcorder - different formats explained (including High Definition) Other Useful Equipment - tripods. lenses, lights, microphones and more... Subjects for Filming - in the garden, on holiday or on a special trip Documentary Themes - how to choose a topic for your film - with numerous examples Camera Techniques - handling, composition, shooting sequences, panning/tilting/zooming, cutaways, interviews and many other techniques discussed Fieldcraft - how to be neither seen, heard nor smelt by the wildlife Set Building - how to construct and use wildlife sets The End Product - DVDs, web-streaming, television, showreels - the possibilities explained Post Production - planning, editing, working with sound tracks, adding music and narration Author Piers Warren is the Principal of Wildeye Wildlife Film Training, editor of Wildlife Film News, producer of wildlife-film.com, founder of Filmmakers for Conservation and author of Careers in Wildlife Film-making. Through Wildeye, Piers leads wildlife tours and training expeditions around the world.